Participants from Macedonia, Bulgaria, Spain, Greece, Poland and Romania will take part in various experiential activities in the field of ecology. Being a project funded by the European Commission through the "Erasmus Plus" program, accommodation, meals and any other fees (participation, preparation, processing) are provided by the organizers. Please note that all international transportation costs are reimbursed after finalization of the project, up to € 275 (round-trip). available for periods: September 15-16, 2018 (team building and training at the Green School) and September 30 - October 9, 2018 (youth exchange - in Poland). Selection process: 1. From August 24th to September 2nd, 2018, everyone interested in the project should complete the registration form below. 2. 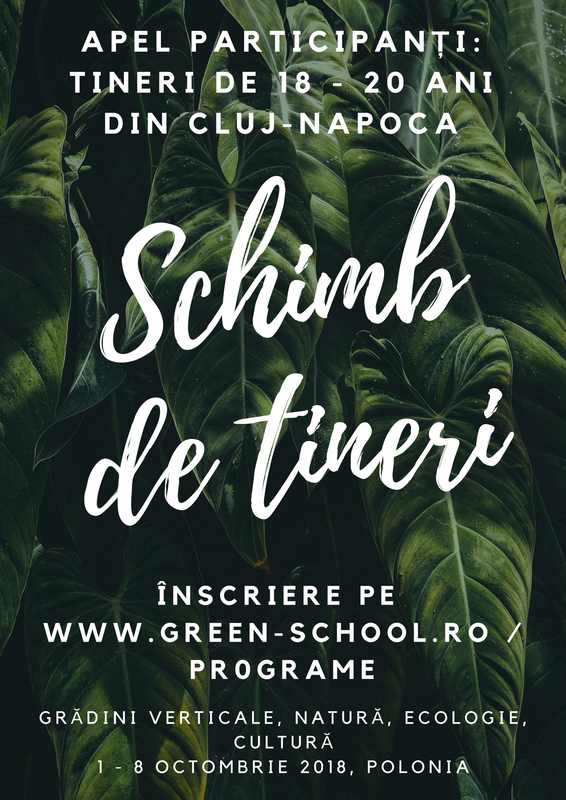 On September 4th, 2018, applicants are interviewed at Green School Headquarters (22, Bucura Street, Cluj-Napoca). If this is not possible, Skype interviews will be attempted. 3. On September 5th, each of the applicants will be notified by email of the outcome of the application process, regardless of whether the application is approved, reserved, or rejected.